All schoolchildren deserve a warm, safe, and inviting space in which to learn. When the children of Hepan in rural Huining County—in China’s Gansu Province —were donated a cabin to use as their schoolhouse, they got much more than that. Their “fun and intelligent” cabin needed to be environmentally friendly and ecologically sustainable, not to mention affordable. 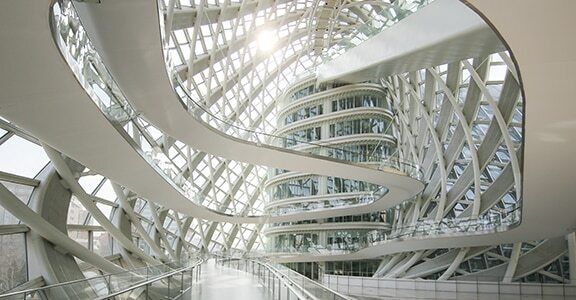 Tianjin Architecture Design Institute (TADI) and Nina Maritz Architects turned to Building Information Modeling (BIM) to see how they could turn these goals into reality. To better ensure the cabin makes the most effective use of its environment, the team used BIM to create intelligent 3D models that integrated a wide range of environmental data, including details about sunlight, ventilation, and temperature. The team knew the cabin had great potential for solar energy and would not get too hot in summer, but they faced the challenge of a cold winter. By modifying the models based on different conditions, the team was able to find ways to conserve energy—and generate money. Solar power supplies electricity and water heating, so the annual power conserved will make a profit of RMB ¥8,200. The initial investment is on track to be paid back in approximately 10 years. 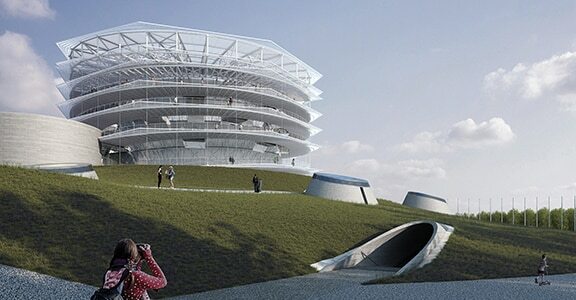 This wasn’t the only environmental triumph that BIM helped to make possible. The team was also faced with a constant shortage of water. After using 3D models to check airflow, the team planned and designed a dry toilet. The waste material undergoes eco-friendly treatments to become organic fertilizer—a boon in this agricultural area. Additionally, the cabin project used renewable sources and reusable, local materials. One of the project’s goals was also ease of duplication. Shanghai Adream Charitable Foundation, the nonprofit that donated the Gansu schoolhouse, supports education in China, especially in rural and impoverished areas. The foundation wanted the sustainable Gansu cabin to be designed in such a way that it could be easily replicated in possible future projects. By employing a model-based workflow, the team guaranteed that all design plans could be easily used again by future teams. And the level of detail captured by the performance analysis will help demonstrate the advantages of reusing the design on other projects. 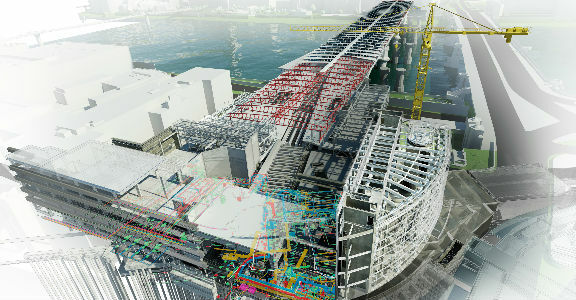 Chinese architecture firm turns to BIM processes and the cloud to align designs from massive project team while lowering costs. 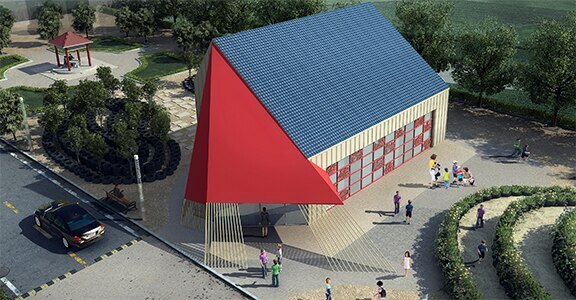 Using BIM to understand how to leverage the environment—sunlight, ventilation and temperature—to build a schoolhouse that makes a profit off its power use and generation.